First published in 1939, The Grapes of Wrath creates an unforgettable portrait of the migrants who left the dust bowl for the promised land of California. Although he wrote it quickly, Steinbeck spent much time gathering detailed reports of the desperate conditions in migrant camps. He also worked in one camp helping to care for its starving residents. Although they have planted the land for generations, the Joads are tenant farmers. Now drought and mechanization have forced them off the Oklahoma farm they call home. As they travel toward new jobs in California, the penniless, hungry Joads learn that America has no mercy for the poor. Their fate is one that was repeated in hundreds of lives. Brilliant in its fusion of drama and rhetoric, The Grapes of Wrath changed the way the world saw migrant workers. They would never again be faceless masses who could be ignored and abandoned. 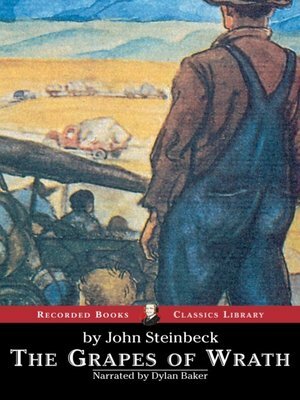 This landmark work's impact earned John Steinbeck the Pulitzer Prize and contributed to his being awarded the Nobel Prize for literature.